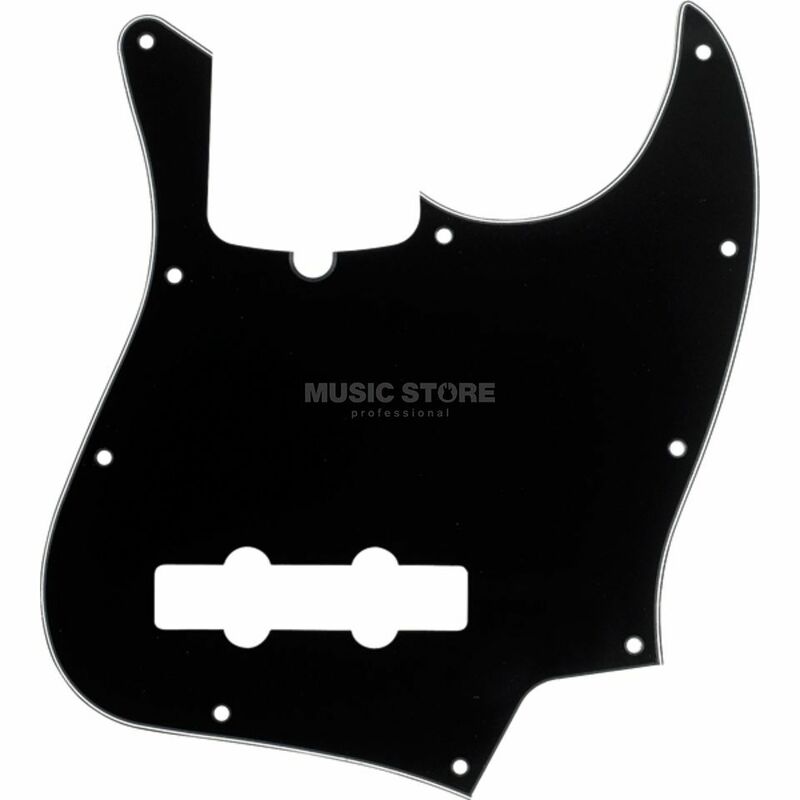 The Fender Standard Jazz Bass Pickguard 3-ply Black is a 10-hole mounted pickguard, with truss rod adjustment notch, for Fender Jazz basses. I bought this plate for my Fender Jazz american pro cause the stock one got damaged. The cut of the plate is not well made at all, it remains a 1mm/1.5mm hole between the pickgard and the buttons plate. For a licenced Fender product it's not very serious especially for this price!